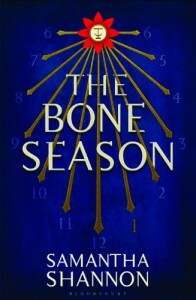 Take a look at my site for this review and others, My Friends Are FictionThe Story: What a complex and complicated world Shannon has created in The Bone Season; a society split between voyants (those with clairvoyant abilities) and the amaurotic (those with no 'unnatural' abilities). Voyants, with a variety of differing skills, are considered to be unnatural and criminal by their more 'natural' peers. A governing body called Scion works at weeding out any voyants and sending them to a prison ruled by an otherworldly race.With the terminology, slang and different voyant types it can get a bit overwhelming for the reader to grasp the hierarchy of the world and keep track of what is happening. Some readers might find this tedious, but I loved having to really focus on what I was reading and trying to pull it all together so that I could visualize Scion and its inhabitants.Though some of the descriptions were hazy to me, I still felt emotionally moved by many aspects of the book. I found myself completely wrapped into Paige's story. I attribute the emotional pull to Shannon's writing style which is rich and detailed but also realistic. I never doubted her knowledge of her world or her characters and had every confidence that she would pull everything together in the end.The Characters: I really loved following Paige throughout Scion with the Seven Seals and then old Oxford as a captive of the Rephaite. Even though she was thrown into situations that were fantastical and she had a powerful voyant ability Shannon was able to make Paige human and relatable. She was a tough and capable female lead that thought through her decisions and adapted to her surroundings.My emotional connection didn't stop with Paige. I also cared deeply for the secondary characters and worried about them and their fate. I was really interested in all the members of the Seven Seals and liked that we got to see tidbits of the past featuring them and their interactions with Paige. I felt that they were all well rounded and Shannon paid attention to giving them depth and a unique characteristics. I knew that they each had motivations for their actions and I could understand why they acted the way that they did.As for the Rephaite race I was intrigued with what they are and where they came from. Shannon left most of these questions unanswered but I'm sure she will delve into them as the series continues. I could feel the intimidation that Paige felt by their otherworldly-ness and size. The Blood Consort, Arcturus Warden, was a wonderful three dimensional character that I immediately felt drawn too. I loved how much I could tell about his character from his body language alone.Final Thoughts:The Bone Season was an entrancing read that had me reading through it so fast that once I finished I regretted not savoring it and reading slowly. 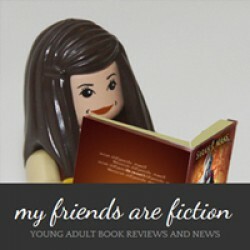 I am impressed with the creativity and lavish world building that Samantha Shannon was capable of in her debut book.